Want to earn royalties as an author and publisher and sell a million copies? 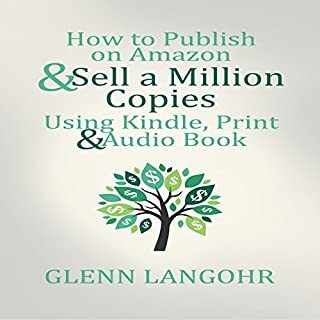 Glenn Langohr shows you exactly how he did it. I was ready to buy and listen to this book, but before I did, I emailed Glenn. And voilà, he responded and he was rather helpful. In this title, Glenn walked through the steps for print, ebook, and audio books and gave examples. He stated what is important to your self publishing journey with the ever present phrase (which we all love) "Don't leave any money on the table, please". I enjoyed it! I am ready to self publish...so I will check out the forums he mentioned. I am writing my first book and I KNOW that the title and the book blurb are normally the First two ways one is introduced to a book. So, I didn't give it a second thought. If I wanted this aspect of my book to be the VERY best...someone else should write it...you know, this being my first time and all. 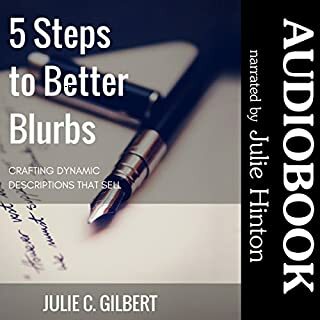 But after listening to Julie's book about blurbs (the ONLY audio book on here on the subject. Sidenote: why aren't there MORE audiobooks on...everything? Sheesh), I am ready to write my OWN blurb first draft (s). I will have it reviewed multiple times, but I now know what it entails and variations for different social media outlets.